A condition that occurs when your eye’s optic nerve is damaged and it gets worse over the years. It has been often associated with pressure built up inside your eye. It is considered a genetic disorder that is inherited from your parents. 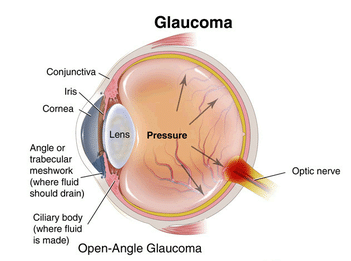 It is not common for glaucoma to develop later in life. The disease is treatable, but if treatment is no done early on in the disease, you may lose sight and become blind within a few years.